Welcome, Planet Forward Consortium members! Planet Forward Salons – Held throughout the year, our salons are streamed on Facebook Live so your entire class and other interested students can participate. You’ll use the comment section to share your questions as we speak with the experts. In The Classroom – Use our storytelling tools. Assign a media project for students to upload to planetforward.org. We are scheduling virtual visits to provide workshops on sustainability and science storytelling on your campus. What makes a good story? How do we bring science and data to life? How do you create a “character”? How can you build and engage an audience? We’ll give your students practical insights they can use to be more effective communicators and storytellers. 2019 Planet Forward Summit – Our annual flagship event held on April 4-5, 2019. You and your students are cordially invited to attend as our special guests to network with and learn from the top experts in journalism, science, environmental policy, and other subject matter experts in this high-energy, two-day event. 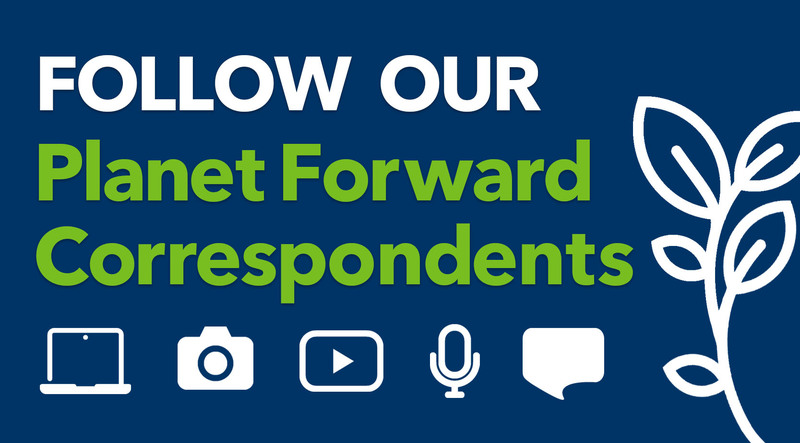 Planet Forward Correspondents – An elite group of students from across the country, who will contribute 4 stories to Planet Forward during the academic year from their campus. Correspondents are guaranteed a travel grant to attend the Planet Forward Summit, where their work will be featured in front of students and experts alike. Storyfest 2019 Competition – Students have through March 3, 2019 to submit their stories – in text, pictures, video, or music. Grand prize winners receive a storytelling expedition with Planet Forward. Stories should reflect innovation, sustainability, and science from campus or community. Finalists will be invited as VIP attendees at the 2019 Planet Forward Summit, where the six grand prize winners will be announced. Is your institution interested in becoming a Planet Forward Consortium member? Please contact Planet Forward Director Dan Reed.